How do you pick the right fishing guide? Here are some things that can help you find the right and credible fishing guide. Finding the right, credible and qualified guide can be a difficult task. If you want a great guide, not just a good guide; take your time and do some homework. It will payoff when you hit the water with your guide. I’m not just talking; drag screaming, rod’s bent all day long fishing guide. 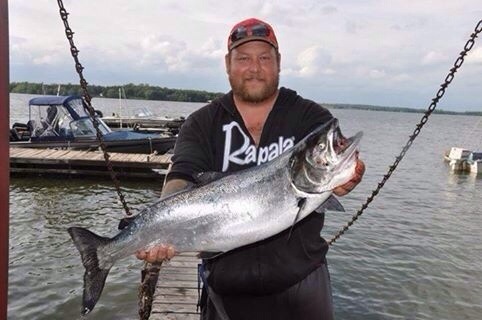 I’m talking a safe, patient and knowable fishing guide, one that will show you a great day on the water. It’s not always about catching fish all day long; it’s about much, much more than that. check out some of the local tackle shops in the area. tackle shops are usually in the know of local credible guides and have several to recommend. they are in constant communication with the local guides and know who have or have not been on fish. Is the guide credible and qualified for the fishing you want to do? When I’ve talk to clients about what they like to see in a fishing guide, here are a few things that came up. (Full time guide), people like to see this when looking for a guide. Full time guides that are typically on the water daily, or at least every other day, know the fishing trends for that area well, and can better plan a good day of fishing for the date you choose based on previous days/weeks experience. If there is a specie’s you would like to fish for let the guide know that. a good guide will be able to put you onto the species of fish you are looking for. Have a open mind, if the guides tells you that the fish you want to chase are not biting good; let them know if you still want to try for that species or try what he/she suggest instead. Should I avoid a new guide ? Just because a guide is new does not mean he/she is a horrible choice . Maybe a person has fished an area for decades and only recently decided to make it his/her career this person may be the best person to take you out. but again, do your research, this goes for any guide, has this person had any reviews, do they have active content on social media sites, can you find them. if a guide is near impossible to find there may be a reason behind that. Does the guide have the right up to date gear? I bring trolling gear for my charters, we are set up with new hummingbird fishfinders, cannon down riggers and rod holders, a food cooler, Livewell for fresh fish, Marine radio DSC endorsed, sterio on board, and a BBQ. I am not set up for casting applications. If you would like to bring your own tackle, let the guide know that. Many guides don’t mind, but let them know you are bringing your own fishing gear and ask what they recommend you bring, Don’t worry if you don’t have what they suggest as most guides will have it on board anyway. Does the guide have the proper paperwork? In Ontario it is law that a guide that has paying clientele on board be certified and obtain an SVOP, MED A-3, Marine First Aid, and hold valid proper insurance, you do not want to be on the water and something go horribly wrong only to find out that the guide was not properly insured, not to mention a properly trained guide has the knowledge to keep you safe in almost any scenario. Ask What does the guide provide for your trip? How many people can or should I bring on the fishing trip? Every guide is different on the amount of people that can come on a trip. It really depends on boat size, what kind of fishing you will be doing and what you want to get out of the trip. Some people just want to go fishing and others want to go to learn more about fishing than actually catch fish. Let your guide know if you are bringing kids fishing with you. Here again talk with your guide; tell them what you want to do and ask how many people can come for a quality fishing trip. some guides have a set price for the first 2 people on your trip and then charge extra per person after that. Here at Sea’s the Day Fishing the charge is for boat for the day and will allow up to 4 people for that daily rate. 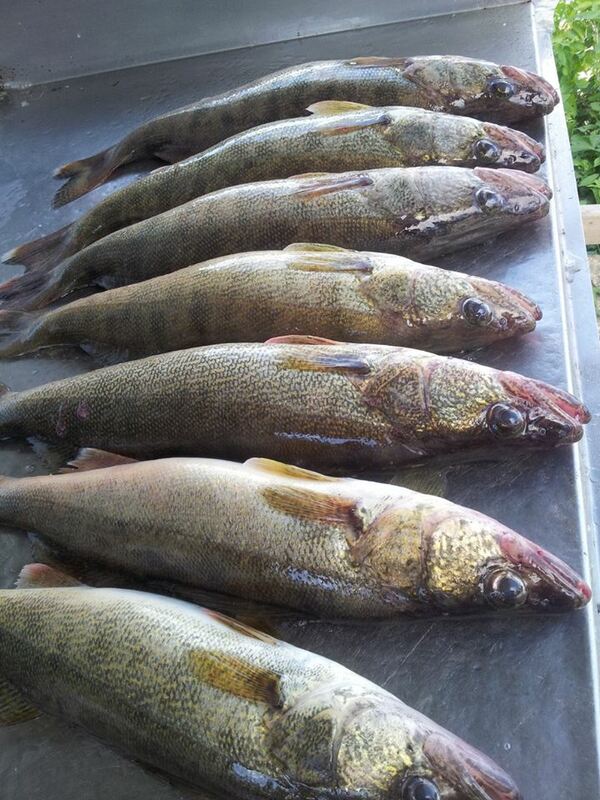 Most guides will allow you to keep your limit of the fish you catch. There are a few things you need to remember, only keep the fish that you will use (eat). If you don’t know if you will eat them all, let the guide know that so he/she can let the fish go for another day of fishing. There is nothing worse as a guide when we get back to the dock with a box full of fish and the customer does not want the fish. Most guides will clean your catch for you as per the transport Canada regulations. Does the guide guarantee that you will catch fish? All guides have bad fishing days from time to time, if they say they don’t they are lying and time to search out another guide, its fishing not catching don’t forget this. Some guides may guarantee fish, but the clients I’ve talked to with this experience say the better guides that they have fished with don’t guarantee fish. I have witnessed guides in my area that guarantee fish head into a shallow bay first thing in the morning and let you put a few small pan fish on the boat before you go after your targeted species. then once you have a few small pan fish you are on the hook for the cost of the charter. By doing this you have just missed a crucial part of the best bite time for the day because your guide is too focused on getting paid for the day instead of looking out for his/her client’s best interest. At Sea’s The Day Fishing we will not guarantee fish. With a lot of people price is usually the first consideration when hiring a guide, but be careful! You get what you PAY FOR!!! Be weary of guides that charge considerably less than other local guides. for us I am not the most expensive around but most definitely not the cheapest either. Running a credible guide service is costly for the guide. Fuel, insurance, tackle, etc etc….I could go on and on about the expenses! What I’m trying to say is, most legitimate guides will work harder and go further to find fish for you it will be worth your while to go with a guide that charges the average or a little more. even though the cost of the charter may seem expensive Don’t forget to tip the mate, mates usually work for very little pay on a boat in fact, many work just for the experience without compensation. They have worked hard to show you a good day on the water. 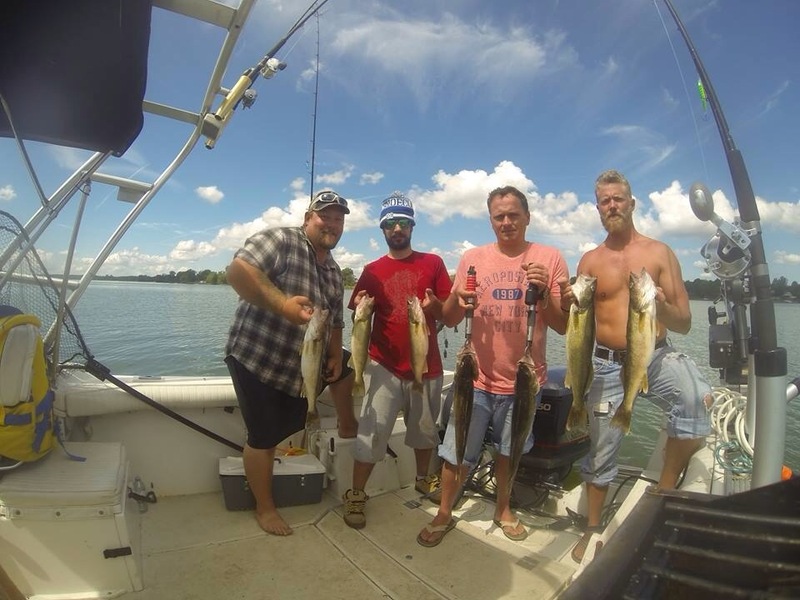 I really hope this will help you find a credible fishing guide for your next outing, and if choosing the Quinte Region to give us a try. Ill do my best to make sure you get a great memory.